Located in the South East of Spain, is the Costa Almeria. Almeria is an ever growing destination with tourists but unlike its neighbouring resorts of the Costa Del Sol and Costa Blanca, Almeria is still relatively unspoilt in terms of tourism. With an average of 320 days of sun every year, it’s no surprise as to why so many people choose the Costa Almeria for a quick getaway! If you are planning on flying into Granada, Malaga, Murcia or Alicante, it may be a good idea to hire a car, especially if there are several people travel in your party where the cost can be shared. Getting to and from the airport in Almeria is relatively simple an there are several option in terms of transport. Which one you choose is obviously down to your own personal needs, requirements an preferences. There is a local bus service that link passengers from the airport to the centre of Almeria. The buses run at regular interval throughout the day and night. The local bus service offers passengers a really cheap and cost effective means of transferring from the airport to Almeria and obviously returning from the centre of Almeria back to the airport. The line number for the bus is: L-20. Taxis are available outside the airport and it is advisable to check with the driver how much the cost of your journey will be, before getting in the taxi. The flight time to Almeria from the UK is approximately 2 hours 30 mins – 2 hrs 50 mins, depending on which airport you are flying from in the UK. The Arrivals area at Almeria Airport is located on the ground floor. As with all International airports, once you have landed and disembarked the aircraft, you will need to make your way to the Security gate and present your passport. Once you have cleared Security, you can then make your way to the Baggage Reclaim area to collect your checked-in luggage. The Baggage Reclaim area has 4 carousels and you will need to look at the overhead monitors to see which carousel has been allocated for your flight. The main Arrivals lobby at Almeria is the main meeting and collection point at the airport for passengers. If you have arrange a pick up or have transfer included in your travel, this is where you will probably be greeted. There are also a couple of shops that sell snacks, magazines, newspapers and other small items. Passenger wishing to fly from Almeria Airport will be required to check-in for their flight prior to proceeding to the Departures lounge. If you want to check-in at the airport, the check-in desks are located on the Ground floor at the airport. Once you are checked-in for your flight, you will then need to clear Security before you are allowed to go through to the main Departures Lounge. In the main Departures area you will find restaurant facilities and a Duty Free shop. The are several airlines that now fly into Almeria International Airport from the UK and some of these are the low cost airlines such as Ryanair and Easyjet offering schedule flights throughout the year. Other airlines such as Thomson and Thomas Cook offer charter flights throughout the holiday periods. Due to the low cost airlines flying to Almeria, it generally means that there are often cheap flight to be found. There is unlimited free Internet throughout the airport for passengers. There is a lost property office at the airport which is in the Airport Services Agent office. There are 9 golf courses in the Almeria region and if you are a keen golfer, you will not be short of courses to choose from. Located at the foot of the Sierra de Gador mountain range and offering 320 days of sun per year, it is no wonder why this destination is so popular. The city of Almeria and its surrounding towns and villages have so much for visitors to see and explore. Almeria is a city in the region of Andalusia. Over the past few years, Almeria has grown in popularity and is now a desired tourist destination with travellers from all over the world. The city of Almeria is typically Spanish with several squares, shops and restaurants. It is a busy and lively city with a number of attractions such as museums, attractions and a cathedral to name but a few. 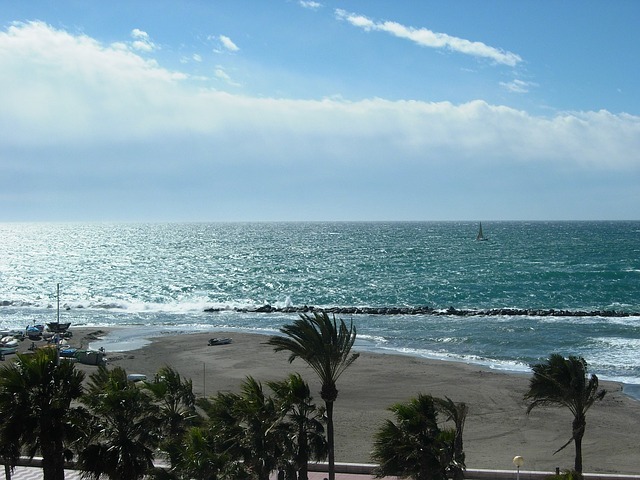 The area has other popular attractions worth visiting such as The Alcazaba and Mini Hollywood.